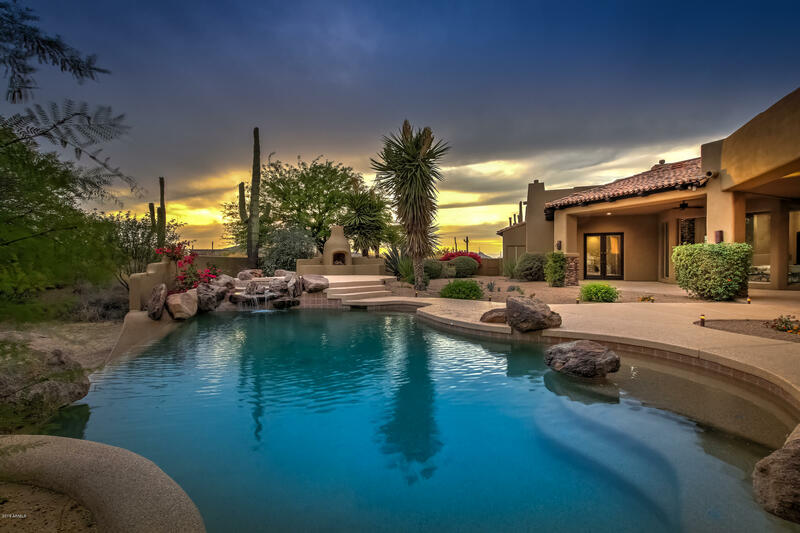 All Talus AT TROON NORTH homes currently listed for sale in Scottsdale as of 04/23/2019 are shown below. You can change the search criteria at any time by pressing the 'Change Search' button below. "On a Golf Course ''flag'' Cul-De-Sac Lot within the Gated Talus Community of Troon North. Also Privately Gated as you stroll down its 50 yard of tree-lined driveway ending in a circular drive and dancing fountains. At the peak of 2 fairways, find this Timeless, Old World Style Residence built around capturing the views and vistas virtually from every direction. Builders personal home, built with masonry block construction and 2X6 metal framing and fur out - 2'' sprayed foam insulation. Grand Ent"
"Perched above the 12th fairway of Troon North Golf Course sits this gorgeous, contemporary new-build by Standing Rock Construction and architect Andy Gramling featuring views both long and wide! 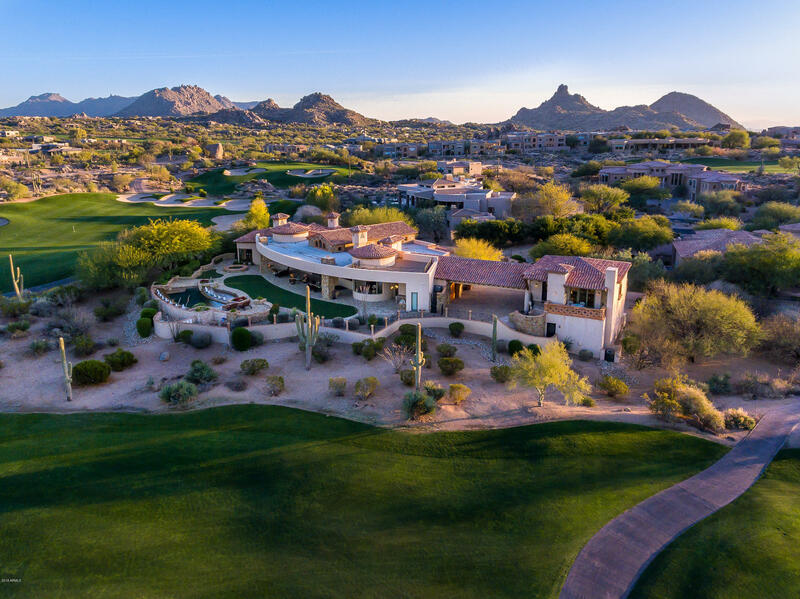 Sweeping Scottsdale city lights and mountain vistas are featured from every room in this 6,800sf masterpiece, including views of Pinnacle Peak, Tom's Thumb, and all the way to State Farm Stadium in Glendale! 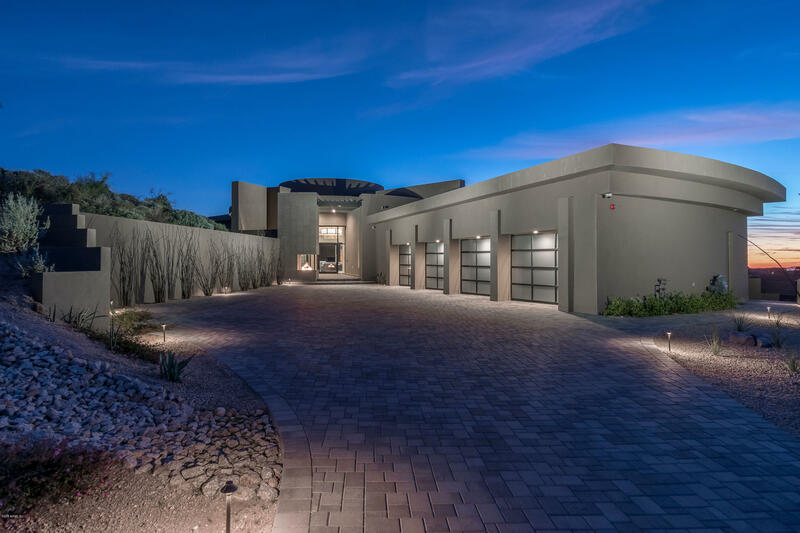 The home includes 5 bedrooms, 5 full baths & 2 powder baths, 4-car garage, and has all the bells"
"TALUS at TROON NORTH: STUNNING HOME ON SUPERB LOT WITH GORGEOUS DESERT & MOUNTAIN VIEWS! Ah, the home!! 5500 square feet in mint condition. High ceilings and loads of glass. A kitchen with nothing but the best, opens to large family room/ with fireplace and walk-in bar. Master bedroom w/fireplace and sitting area adjoins an exercise room with wet bar. Three more bedrooms, all with en suite baths. Don't overlook the office with desk and built-ins. Entertaining outside is nothing but impres"
"Beautiful updated Golf Course home within the prestigious Gated Talus Community of Troon North. Grand entry with picture frame golf course views from the moment you walk through the double iron enty doors. High ceilings, wood beams, clean lines with stacked stone fireplaces, travertine and engineered wood floors with the perfect floor plan. One of the best lots in Talus with views of the 10th Fairway and City Light views and north/South exposure. 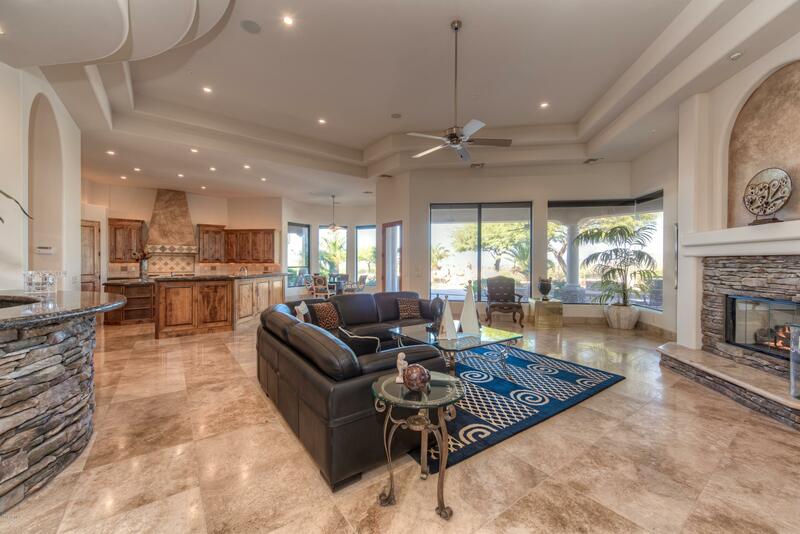 This home is 4 bedrooms and 4.5 bathrooms with "